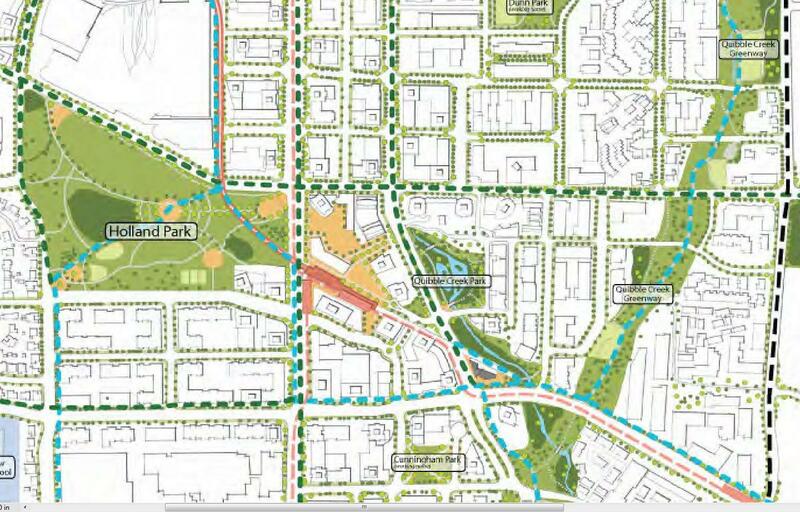 An open house was held on Nov 30 to discuss the future of Forsyth Park, a new 3 hectare park in the north-east area of the City Centre near 106th & 140th St. 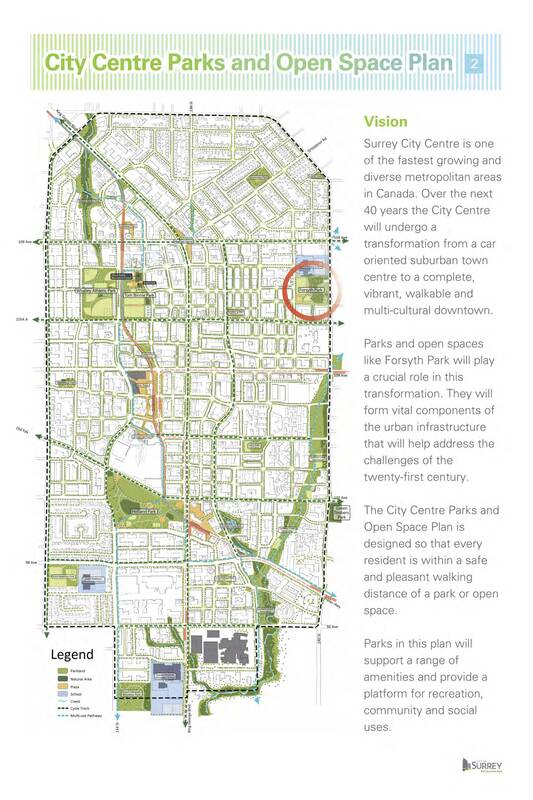 The City of Surrey has been acquiring properties for the park since 1989 and is now ready to embark on its first phase of development, beginning with public consultation and design this winter, and moving into construction by summer in time for a fall 2017 opening. With the area slowly starting to densify with recent multi-family projects such as Porte Communities’ HQ directly south of the park, the timing is now right to develop such an amenity space in the area. As part of the open house that was held, a number of display boards were presented that provided a preliminary concept of what the park may look like, with this likely to be modified based on comments received from the open house. The park is envisioned to be a ‘Contemporary Urban Place’ for neighbourhood residents to enjoy the outdoors, play, and bring their dogs. One of the boards also provided a glimpse of how this park will tie into a network of greenways, spaces, and parks throughout the city centre as it develops over the next few decades. 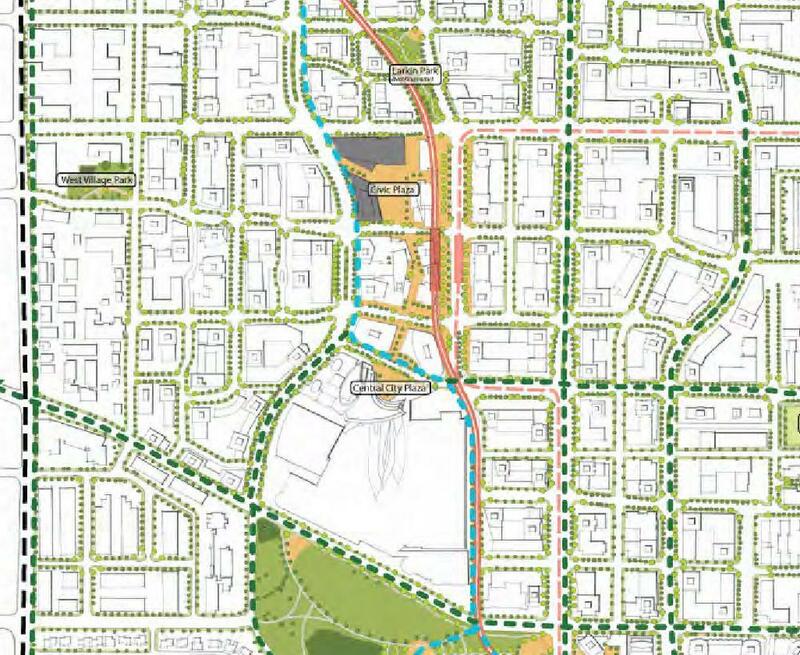 This illustrative plan also gives a good impression of how the City Centre itself will transform over-time, with a finer grained street grid, and a more compact urban form. See below for images.